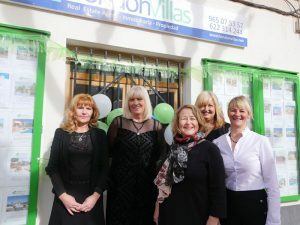 Maureen from Hondon Villas in Frailes writes about the Hondon Valley, the area where she lives, knows very well and plies her trade as an AIPP registered Estate Agent. Maureen has over 30 years experience in real estate across the UK and 11 years in Costa Blanca South. She is trusted and well liked in the Hondon area and is always determined to offer a professional and friendly service … Buy, Sell or Rent !! The Hondon Valley is a special place to the people who live and holiday here. It’s not hard to see why with its miles and miles of fertile land growing juicy table grapes, local wine, almonds and salty olives, all in abundance. The locals are real country folk who rely on the land for work and the visitors love to drive or walk through this pretty valley. Hondon is one of those ‘in-the-know’ secrets that brings a small influx of like-minded people to the area. These are people that relish the simple Al-fresco lifestyle, the small typical Spanish villages, the slow pace of life (eh, no Sunday opening here, thanks) and the friendly community minded culture. It seems so safe and friendly compared to the big bad city I used to live in! The summers are alive in the Hondon Valley with numerous fiestas, concerts, special events and colourful markets. 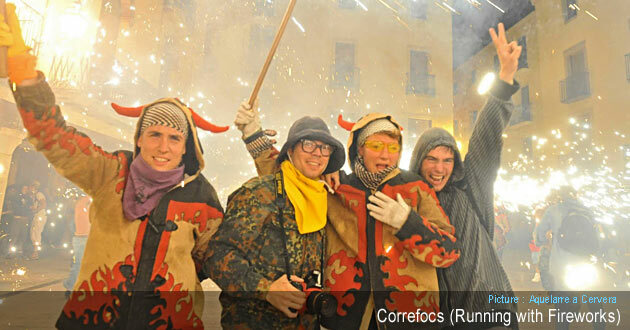 The fiestas in particular are legendary around here. It would be a crime not to attend a few fiestas each year as it is what makes the Spanish happy and brings out their family and religious values. Every village, town or city in the Hondon area has a program of events throughout the year to bring the community together. I have not tried it, but I suspect it would be possible to attend a fiesta or special event every week of the year if you cared to! Despite its very rural location, the Hondon Valley affords all the amenities you will need within 10 /30 minutes drive. Yes we have the usual village shops, bakers, butchers and supermarkets but also gyms, sports centres, spas, shopping malls, DIY stores, cinema, superstores, football stadiums, bull rings, theme parks, water parks, a chocolate factory, riding schools, museums, etc… you will not miss much here. Of course the coastal towns and resorts are all a nice ride away too, as is the Alicante International Airport.. It’s all a short drive away. Over the last 10 years the Valencia Government has encouraged foreign investment in property. This is much needed in a region that also relies heavily of tourism and construction for its income. This in turn leads to many foreigners, mainly northern Europeans looking for the Spanish sun, living here permanently. The Hondons have been touched by foreign investment which was helped by the development of “La Montañosa Villas“, a new build urbanisation of about 400 luxury properties surrounded by mountain views and fruit farms. It is said that the area needed this in order to grow and build the farmer / builder community, it’s infrastructure and develop urban land. In the 10+ years I have lived in Hondón it is easy to see the positive differences in roads, facilities and wealth. So now we have a quite diverse ‘goody bag’ of nationalities in the Hondon Valley... including Brits, Dutch, Belgium, French, Russian, German and Scandinavian… I think I spotted a few Italians and an Australian couple too! All these people came to live because they saw something special... I like to think it is the peace and quiet (but with a few rowdy nights thrown in!) but on the whole the life here is pretty stress free, easy and very healthy if you care to embrace it. Thankfully, most do. Yes Spain, in these austere times have many problems with funding, unemployment and social unrest but you’d be hard to spot this in the Hondon Valley. Life here meanders on and lets face it, it’s too hot to be getting upset with things. So best chill on the terrace with your favourite tipple (mine is a G&T, if you are buying, thanks). Sit back, relax and listen to the chirp of the birds or swooning wind through the trees or just the ‘quiet’. So yes take it easy in the Hondon Valley... it’s not going anywhere fast. What’s the rush? Everyday can be like a holiday if you want it to be. Have a BBQ, pick a lemon off your own tree or why not visit the local Taparia … Above all :-) smile to yourself – it’s your dream! You are in the Spanish Valley of the Vines after all. Pardon? What about the washing and dishes? … as the Spanish say “Manaña, Manaña”.